Established in 1981, we “Aegis Eng. Co. Pvt. 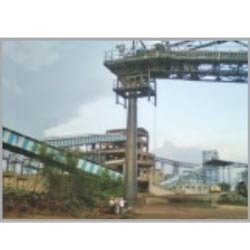 Ltd.”, are ISO 9001:2008, Certified company, engaged in manufacturing and supplying an extensive assortment of Industrial Conveyor, Dust Control Equipment, Industrial Feeder, Slide Gate And Rotary Valve, Hammer Crusher, etc. Our offered material handling equipments are manufactured utilizing quality approved components and innovative technology under the guidance of quality controllers. These products are highly demanded in market owing to excellent performance, robust construction, longer working life, easy installation and longer service life. We offer these products in various specifications as per the needs of the clients. Moreover, we undertake Industrial Mechanization Service.